Thank you so much for creating the most amazing flower arrangements for our wedding! They came out more beautiful than I could have ever imagined! You are beyond talented and amazing at what you do! I didn't have to worry about a thing knowing this important task was in your hands! Thank you so very much! The arrangement was unbelievably beautiful. We thought it was like taking a walk through the woods. We so enjoyed it and will always remember its beauty and significance. Thank you so much for making our concert fundraiser a success! The carnations and roses were so beautiful. Many compliments were given to your store. We look forward to next year and doing business with you again. Have a great Memorial weekend! John's memorial flowers were beautiful, and I imagine you were responsible for the beautiful ones at St. James last Sunday. The spray "Sentiments of Serenity" that you made for my uncle, Henry B., was beautiful. My siblings and I were extremely pleased with it and many people complimented it. Thank you so much. Thank you so much for the beautiful flowers that added to our dream wedding. All of your staff were very helpful, nice and welcoming. 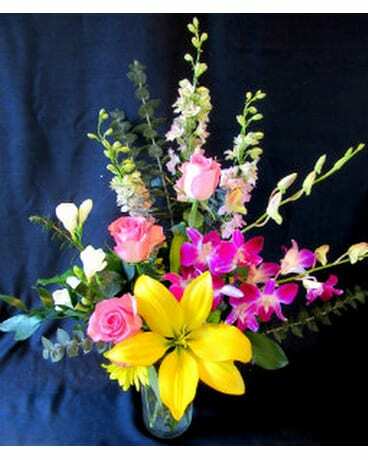 Thank you immensely for the very beautiful sympathy arrangement. Very kind of you to accommodate us on your closed day. With much appreciation. My husband and I sponsored an engagement party for my son and fiancé at Apricots this past Sunday. Alice designed the flower arrangements for the luncheon. I am writing to you to let you know how pleased we were with the final results. She captured the look and feel of what I wanted, in concert with coordinating the flowers beautifully with the décor of the room. 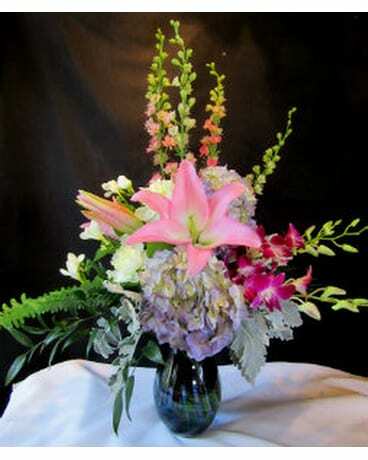 Not only were we pleased, but there were numerous compliments regarding how beautiful the flowers were. The flowers were beautiful and just what I wanted. I know Dottie would have loved them too. Thank you ever so much for fulfilling our wishes. 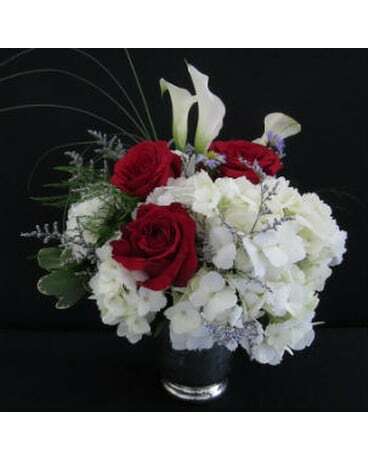 Thank you for the beautiful flower basket and for the magnificent casket spray. It was exactly what my Mom wanted. Thank you for sharing such a sad day by making it a little brighter. I just want to thank you for the beautiful flowers that you did for my Mother-in-laws' birthday party. The table at Piccolo Aranico were just beautiful. You added lily into the mix and that really put it over the top! Thank you again for all your work, I really appreciate it. "The pumpkin display was awesome as well as the table arrangements! Perfect size, loved the containers and the flowers were beautiful! Everyone commented all night long on how nice everything was. Thank you,"
June 25th, 2011. 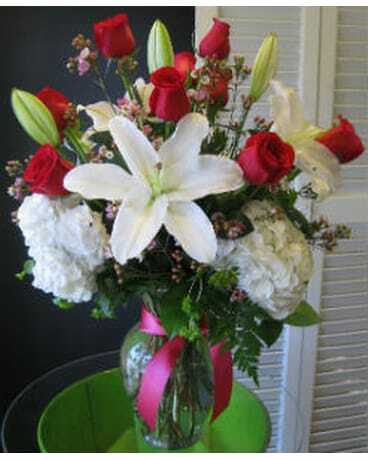 You and your staff did a remarkable job on the flowers. I can't thank you enough. Thank you so much for the amazing wedding bouquet and flower arrangements! You listened with detail to our dream and created the most amazing pieces of art we could have wished for! The flowers still bring tears of happiness, love and joy to my eyes. We have tried to save the bouquet. The bridesmaids were so unique and complimented their pashminas and my shoes! You are so thoughtful and too generous - I thank you from the bottom of my heart. You saved the day, again. I got an arrangement from you guys on Monday for Natalie's graduation, and I just wanted to let you know how lovely it turned out! They are gorgeous. She had the best bouquet there! I'm not sure if you remember me, but my name is Mrs. Johnson. I came into your store about a month ago with my family. My Grandmother passed away and it was the day of her wake; someone had forgotten to order flowers. We came to your store, and your staff welcomed us with open arms. You were all so kind to us and made our dilemma so much easier to deal with. As if that wasn't enough, the arrangements you all made were absolutely stunning. It was a beautiful sight for sore eyes. To show our thanks, we promise to reccomend you to all of our friends and family. Thank you so much for everything you did for us. God bless each and every on of your exceptional staff members. Thank you for the care you took to create the perfect arrangements for our services. They were just what I wanted. Creative, original, refined.....just plain lovely! I'm describing the funeral piece you sent to my dear neighbor. It's obvious it was hand created. After the funeral this one piece was chosen for the center piece of the social, "bite to eat" gathering. I was proud to have my name attached. Thank you so much. The flowers for my Mother's wake/funeral were beautiful. Very fresh too, as I was able to keep them in part for two weeks. Beautiful job! I wanted to thank you for helping make the room look so romantic and elegant. It was everything I expected and more. Our guests commented on how pretty the floating candles made the room when the sun went down. I have enjoyed working with you and wish you the very best. I'm sure I will be seeing you soon for a holiday wreath.